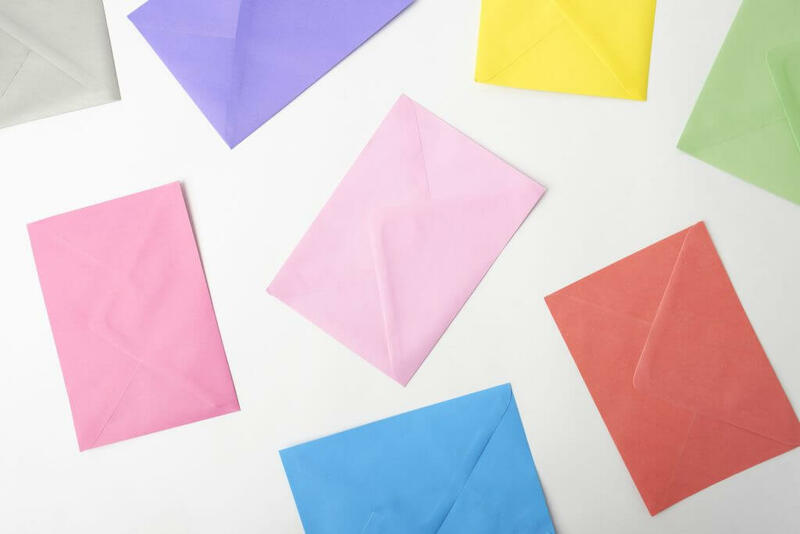 We offer Full colour printing and mail merging onto Envelopes of all sizes. A perfect compliment to your corporate stationery or home stationery. Printed envelopes are also included as standard in all our invitation Packs if required. We can print guest names and addresses to save you time and energy so you do not have to write them. Also the font and text will match the invites so the pack looks special and uniform before you send them to your guests. We can also print in White toner on darker coloured envelopes, giving a wonderful print effect and something different.